It is very common for Chinese ethnicity parents or grandparents to tell you how poor they were, selling ice cream, wearing 3rd hand clothes and all those stories. Here in Hock Kee, it all started with their grandmother who had to leave China for a better life and all she had was a jar of homemade red wine from her mother. This jar of red wine is considered to be a very precious gift as people were poor back then and money was not really an option. The jar of red wine does wonders. It's not your typical Merlot. It's Chinese rice wine which is red-ish in colour. It is the main ingredient in their signature dish, Red vinasse Chicken Mee Suah. According to Jeassy, all their family members have learnt how to cook their traditional dishes as they do not want to lose the Fu Chow part of them. It took her a while to successfully prepared the red wine. It does make me feel guilty for a moment that I haven't actually had much effort to inherit the Hakka side of me. 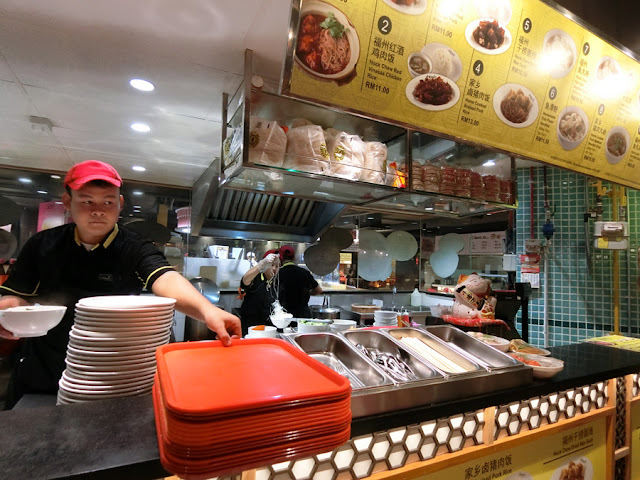 As I'm a Hakka decent, I've never actually ventured into Fook Chow food before. It was my first time having this peanut soup which turns out to be surprisingly good, a little different from the usual tong sui. 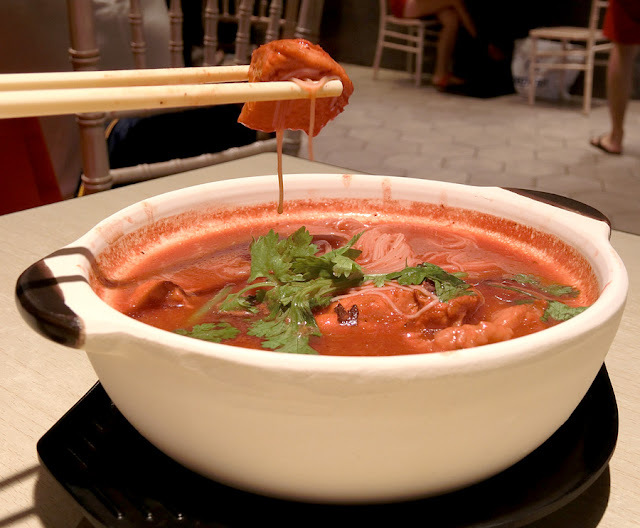 It's so different because I normally have peanut soup, the savoury style. 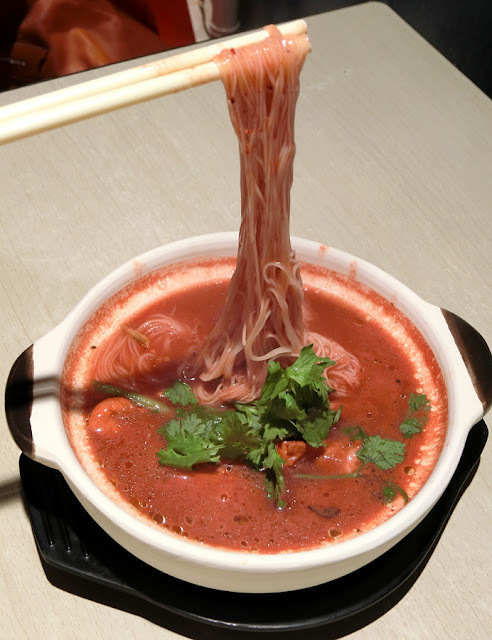 Make sure you try this signature dish - the broth is very flavourful, love the taste of the red wine! The thick and thin noodle. 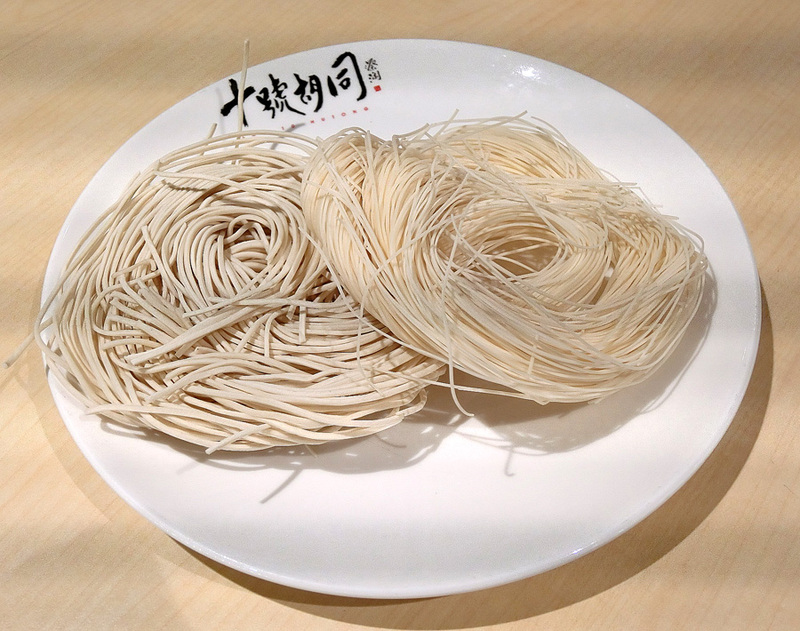 The thick noodle is used for the dry and the thinner version is for the soup. 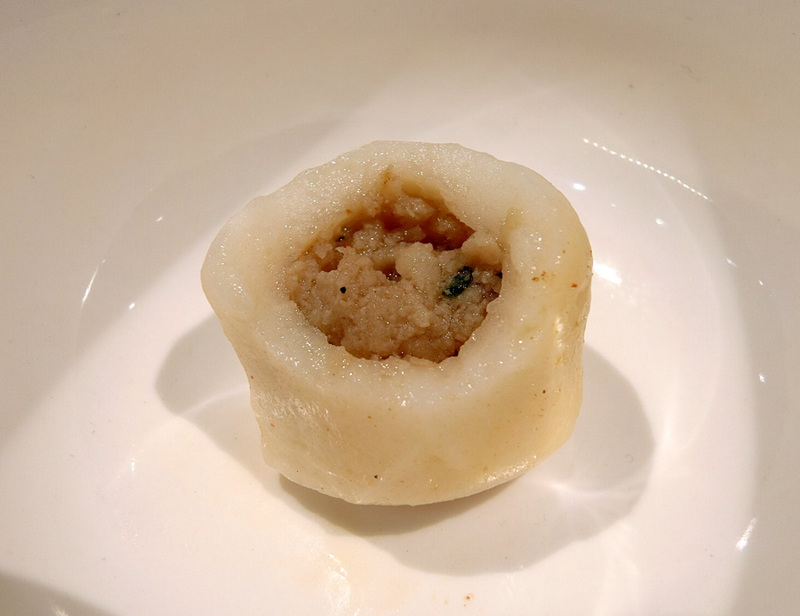 The fillings of the tofu are homemade - a mixture of fish and meat stuffed into the tofu. I could have the stuffed tofu by itself - it's really springy! 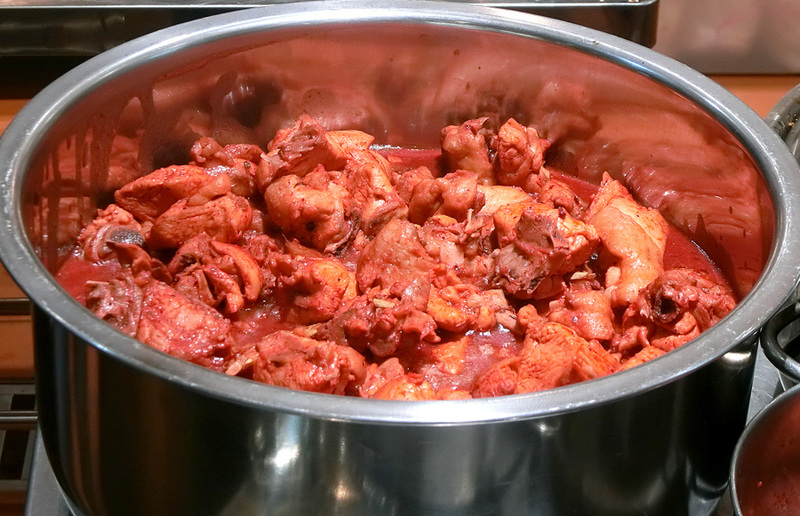 The red wine is not only for the soup - it's also used to marinate the pork as well. 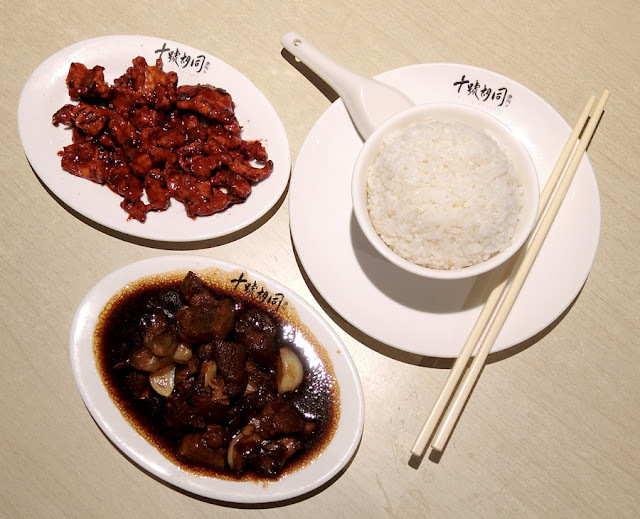 The stirred fry red vinasse pork with sliced ginger is very well marinated and it goes really well with rice! Next to it would be the braised pork with garlic and herbs. Both dishes are best to go with rice. As much as they try to prepare everything from scratch - sometimes it's not that easy. 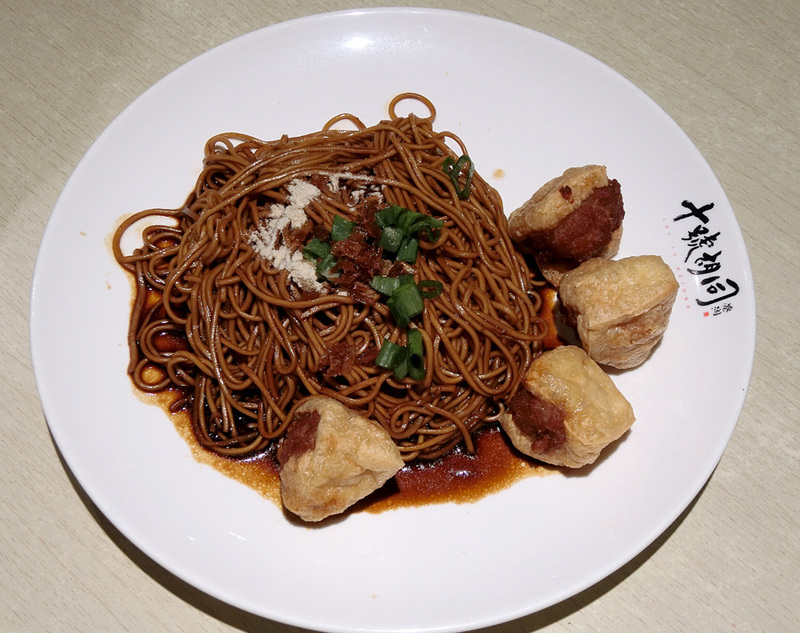 The Fuzhou Fishballs (RM9) is sourced by a supplier - but fret not, the quality is guaranteed to be good! For those of you who loves Go Noodle's bursting ball - it has the same bursting effect. In fact the filling tastes so similar, I thought it was from the same supplier! 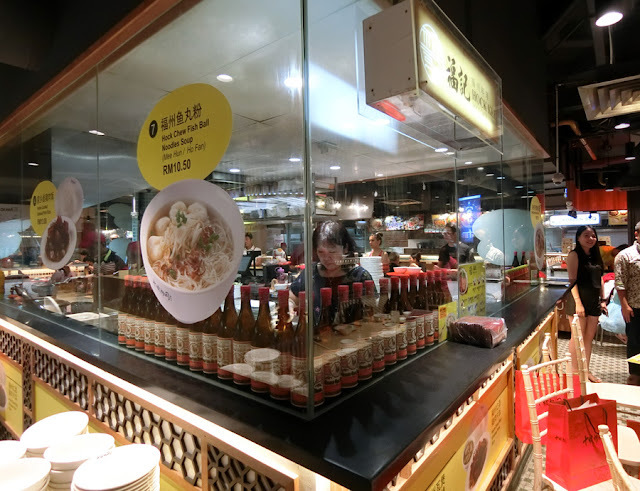 I was so in love with their food that I had to go back the following day to grab another bowl of noodle. The broth is really nice, I finished every drop of it! 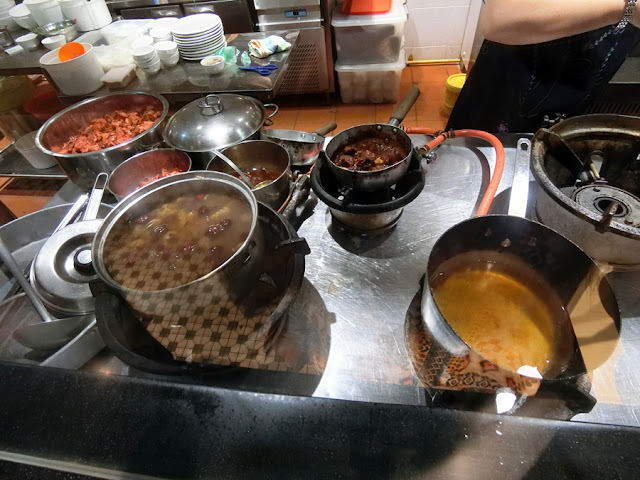 It's quite rare to get Fuzhou food in Klang Valley, or in the city centre at least. 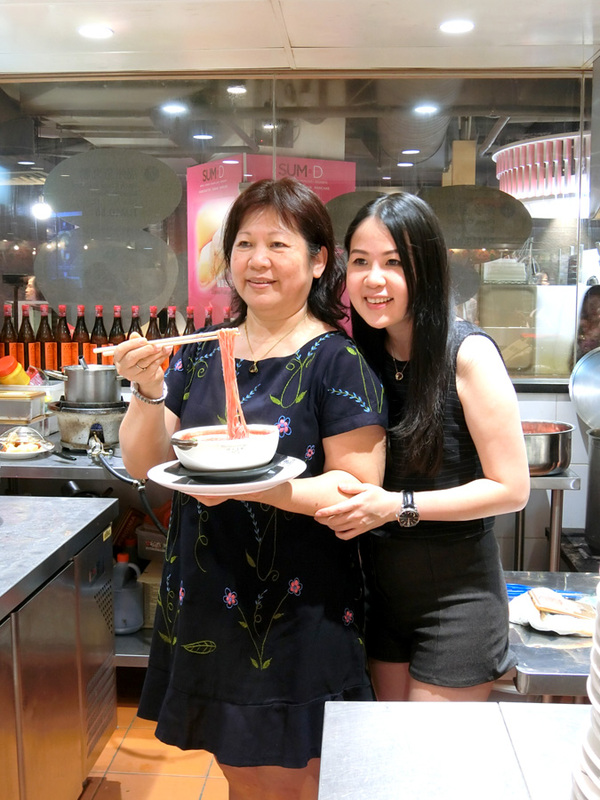 Now you know where to go if you crave for Fuzhou food (Sitiawan flavours, as the family is from Sitiawan). It never occur to me to visit Sitiawan for food - I will definitely make a trip there some day! To those who are really interested, Sitiawan is not far from Pangkor so do slot some dining sessions in Sitiawan if you're heading to Pangkor! Dislikes: Very difficult to get a table in this food court, it's always packed! 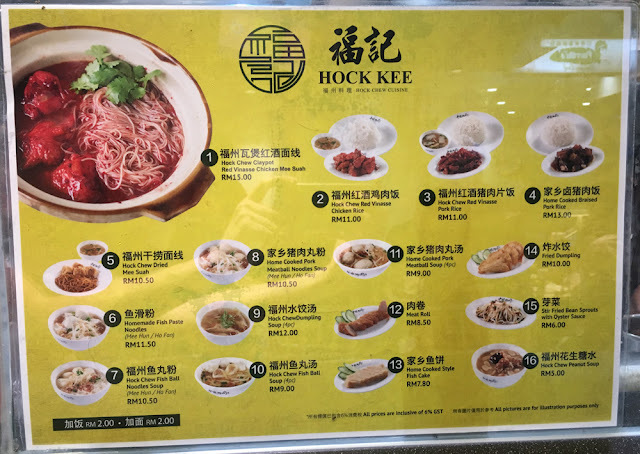 This post is brought to you by Hock Kee.